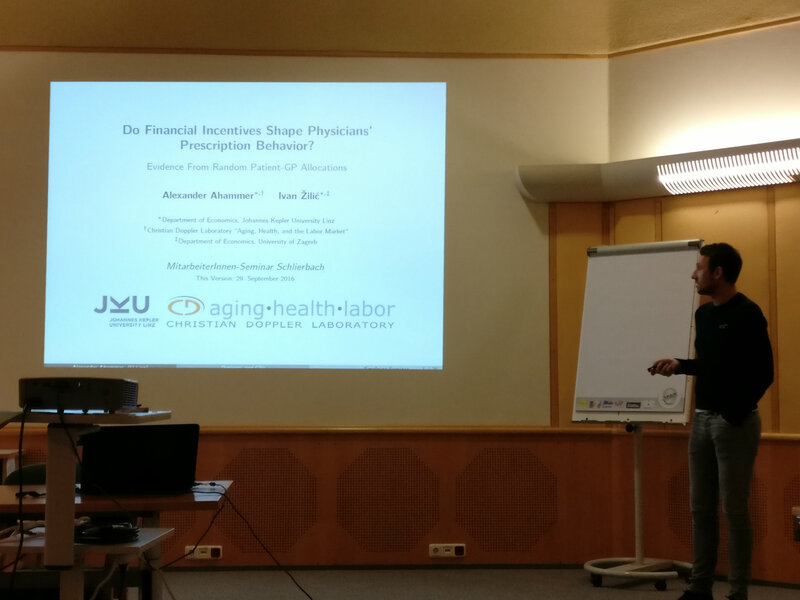 At the annual meeting of Linz economists, Karl Lehner, chief executive officer of the Upper Austrian Health and Hospital Public Holding Company, presented some ideas to utilize synergies and overcome avoidable expenditure in the inpatient and outpatient sector. Also Alexander Ahammer (picture), member of this laboratory, presented his current work about prescription behavior of general practioniers. In this joint work with Ivan Zilic, they try to find out, which financial incentives and channels are shaping the prescription style.